Studija CREATA.Antiška - Studija CREATA. ANTISKA – a book about Lithuania’s legendary rock band ANTIS. 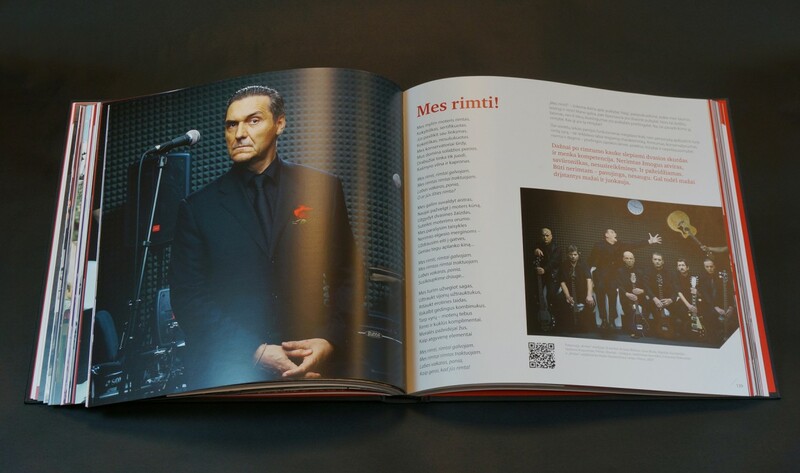 Written by the band’s frontman, successful architect and businessman Algirdas Kauspedas, it covers the whole 30-year long history of the band. 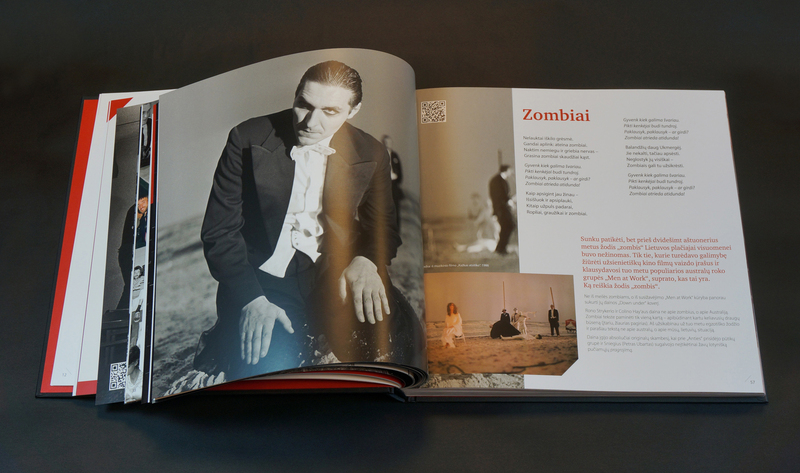 The lyrics are the main axis of the book. All of the songs are featured with the author’s comments and memories which let you dig deeper into the band’s philosophy. A treasure trove of photos from the band’s archives are included, adding to the whole immersion experience. 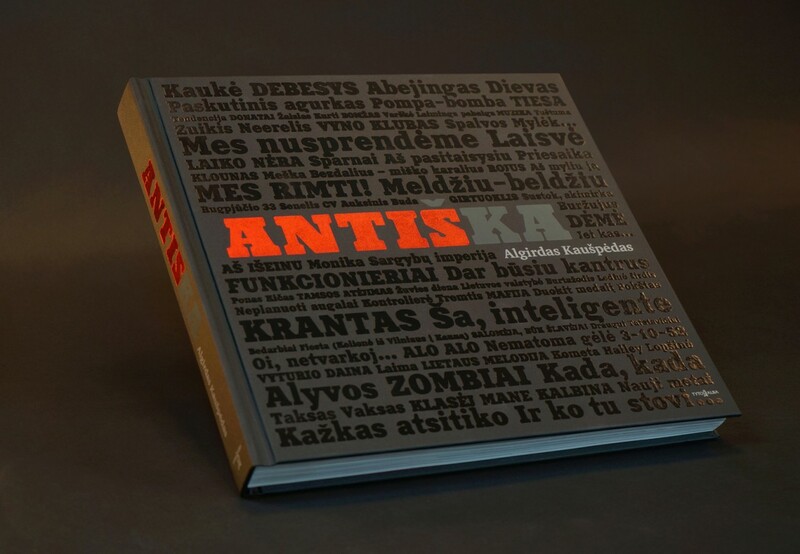 On the cover, ANTIS logo forms a part of the book’s title. Soft black fabric background is filled with glossy black song titles, which form different layers reflecting band’s history. 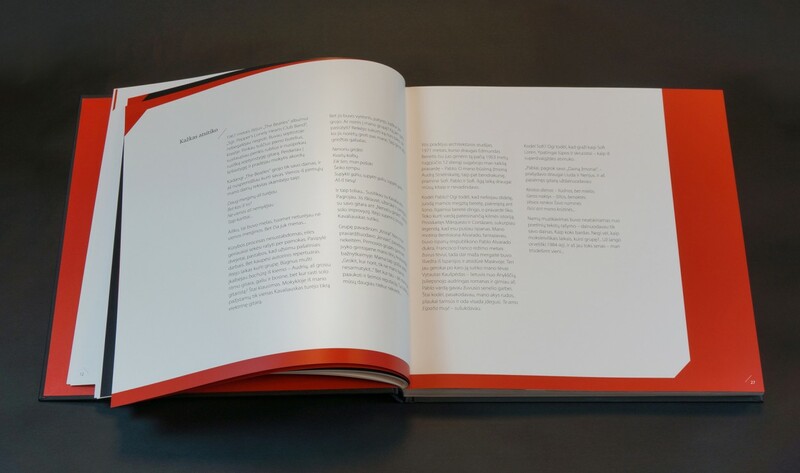 Three colours are predominant in the layout – black, white and red. They all are important parts of the band’s ideology and visual represenation. 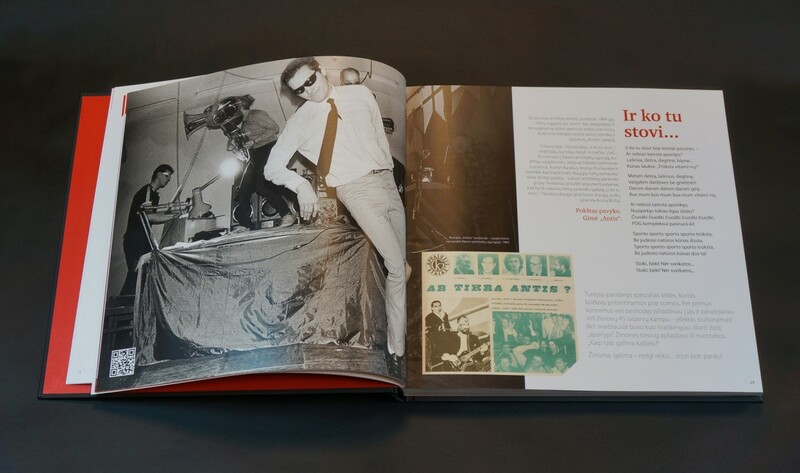 The design is strict and “clean” – to put an emphasis on wildly extravagant and expressive style of the band. 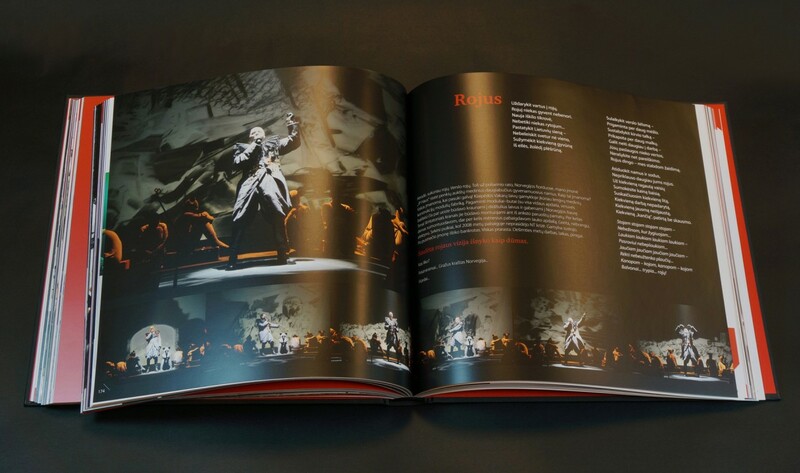 Contrast and dynamics throughout the pages emphasize the meaning of the lyrics – some of the spreads are full of pictures and some of them are very laconic. QR codes complement most of the lyrics to give the readers a chance to hear ANTIS’ songs here and now. 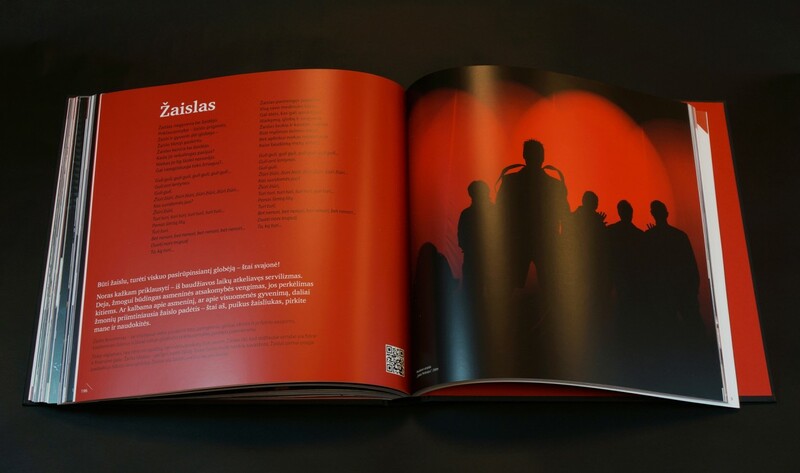 In February 2014 the book was exhibited at Vilnius Book Fair and awarded in category “Fiction and Essayistics” at book art contest “Vilnius 2013″ held by the Ministry of Culture of the Republic of Lithuania.